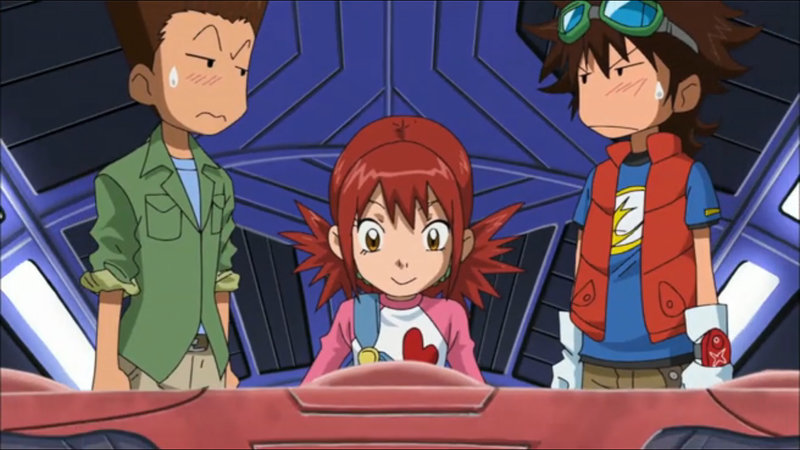 Digimon: System Restore: Fusion Episode 04: Island Zone in Chaos! One of the major selling points of this season is the way the central gimmick allows the main character to show off his tactical brilliance. We've seen Mikey demonstrate it in the Forest Zone here and there, enough to make us look forward to more. The new Island Zone certainly presents the opportunity, especially with Neptunemon's navy being very powerful yet transparently limited (Divermon aren't that scary when they're not serving digi-Cthulhu). In this regard, the episode doesn't disappoint, with Mikey making a bold move to give his team a fighting chance and offering the odd sort of digifuse that we hope to see more of. However, it becomes clear that all the clever tactics and digifuse combinations in the world can't carry the show if the story doesn't hold up. The episode starts out promising enough, and by that we mean it features Nene. 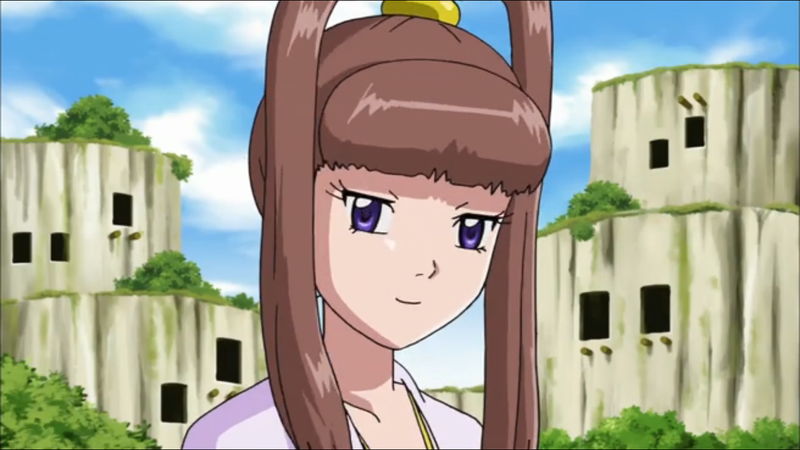 Until we get the full low-down on the subplots with Reapmon and Dorulumon, Nene's our only hope for anything remotely intriguing. Unfortunately, she's knows she comes across as mysterious and she has every intention of keeping it that way. Whatever's going on with her, she's keeping it close to the vest. Still, Mikey defeating MadLeomon impresses her enough to make his acquaintance. Still, it's almost a waste of an introduction as most of the sweet nothings between Nene and Mikey are plain exposition. From her, we learn what a code crown is, and how it acts as a sort of title deed that proves you control a zone. Whoever has them all wins the game, regardless of whether they build a hotel on Boardwalk. It's necessary information, too necessary to be delivered by Nene. We're left processing this instead of asking the real questions like why Nene would volunteer such information and whether she actually wants to help Mikey or control him much in the same way Christopher does. She does tell Mikey how to zone transfer, which is really helpful because we're due for a change of scenery. Three episodes in Forest Zone suddenly make you appreciate Zero Two's unique ability to pop into a different location every episode. Mikey's warp whistle takes us to Island Zone, where the locals are being harassed by some Gizamon looking for the code crown. Nobody knows where it is. That's right- the Gizamon are under the impression that the monsters on the island know the location of the “I am the one true king of this land” button, but none of them can be bothered enough to actually go get it? ChibiTortomon, despite his size, admires power and is all sorts of ambitious. If they knew where the code crown was, he'd be chasing after it. The threats escalate when Neptunemon sends in the marines, again with the intention of determining the location of the code crown. This is where Mikey earns his paycheck as he uses this invasion against Neptunemon. Deeming the Divermon squadron and their battleships indefensible, Mikey opts not to defend it. Instead, he leaves the locals to hide with Jijimon while his crew hijacks one of the ships. It's all good stuff, especially since it involves both Jeremy's skill with a sword and Angie's (unseen until now) skill with figuring out the controls of a foreign battleship and sinking all its brethren. Girl's just gotta learn that sort of thing growing up on the mean streets of Koto. As crazy as all that sounds, it somehow still seems very conventional. Unlikely hero steps up big to help the good guys out of their pinch and they win. No matter how many clever concepts the battle may have, the story behind it and the results aren't all that interesting. Now that it's the second battle, we're hoping for new wrinkles to the overall storyline. Those DigiBytes sure aren't going to cut it. It's said that Digimon can only transfer between zones when in someone's Fusion Loader, but Dorulumon and Cutemon are randomly seen chilling in Island Zone as well. For that matter, Bagramon's army seems to have no trouble bouncing between worlds with no human support. Also, if zone transfer is such a big deal, how are Jijimon and Archelomon old friends? 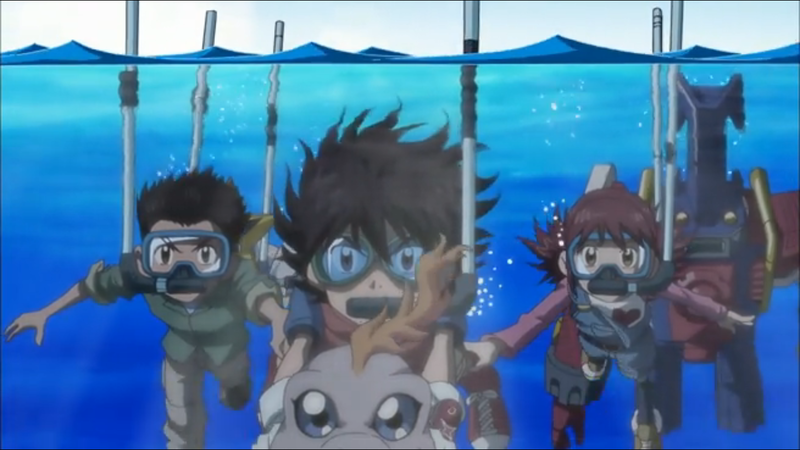 Mikey makes a lot of assumptions about the ability for Jeremy, Angie, Shoutmon and Ballistamon to effectively snorkel while evading the Divermon invasion. After swimming in salt water for far longer than any average kid would be capable of, they don't even appear wet.